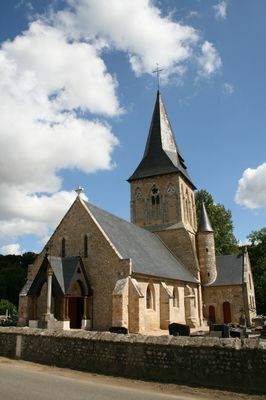 Nestled in the Vienne valley hollow, the commune of Lamberville will show you its 12th century building: the Notre-Dame de l'Assomption church. Stop here to admire a magnificent roman style bell tower where you can notice the presence of 44 sculpted faces that have the particularity of being all different. These grimacing modillions reflect the original building, but it has undergone many restorations and remodelling over the years. Thus we can notice the presence of elements from the 16th or 17th century. Feel free to push the doors of this church which is open every day (barring unforeseen circumstances) in order to contemplate sculptures from the 16th and 17th centuries in particular. There is no review about Eglise Notre-Dame De L'assomption, be the first to leave one !